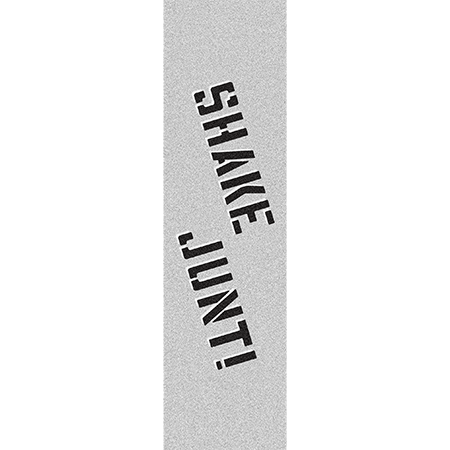 Shake Junt Clear OG logo Skateboard Griptape Sheet comes with a clear backing so you can show off your fresh top veneer or your artistic talent. High quality griptape you can count on when the big tricks go down. Just shake and spray for that full lock-in. 9" x 33"